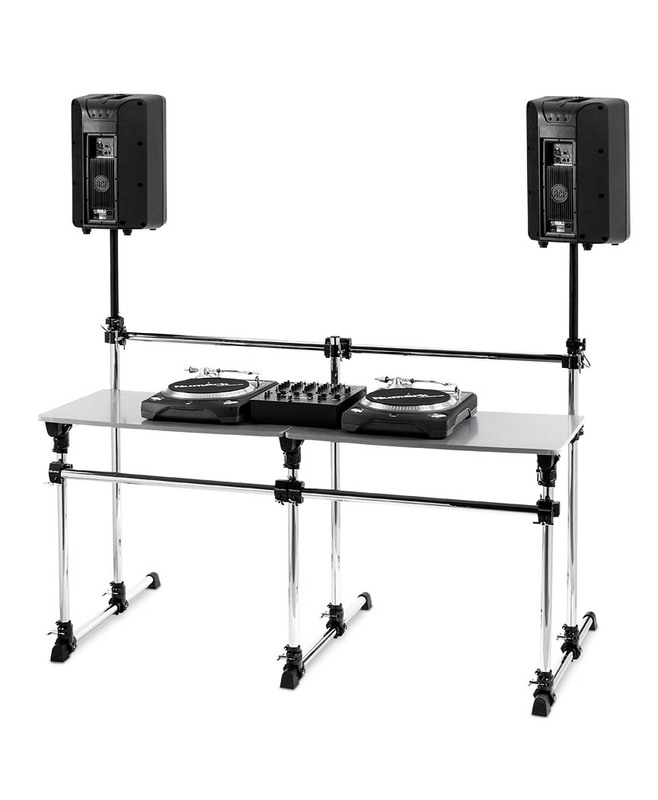 The sleek and sturdy Elevate Workstation offers up maximum portability; style and versatility for the working DJ. This sturdy; modern-looking stand replaces the traditional wobbly; stale; banquet table and enhances stage presence with lightweight; expandable; and customizable options. 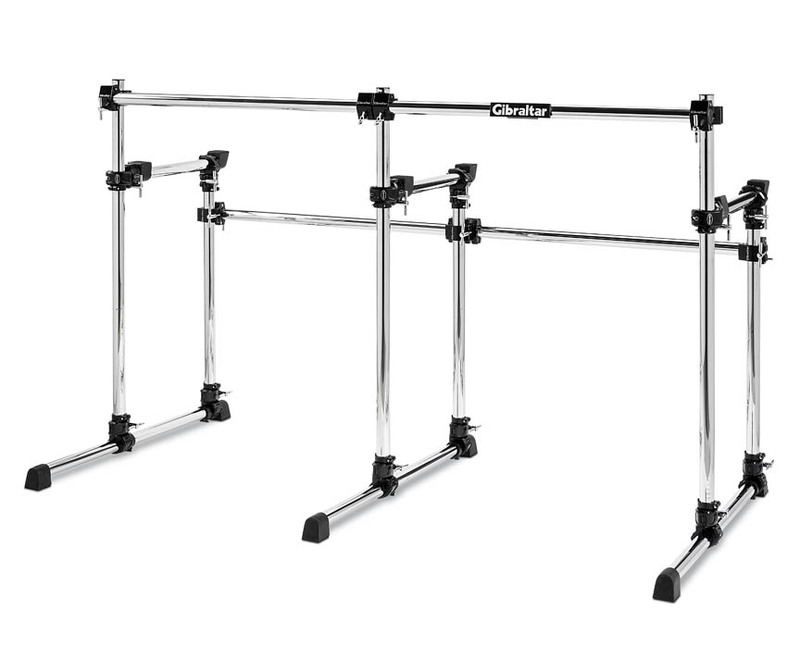 Measuring six feet in length; and crafted from the same lightweight; road-proven; chrome-plated steel tubing; the Elevate Workstation sets up in just minutes and offers limitless show enhancement possibilities.